We are lucky to have miles of beautiful streets and trails, places to take in some beautiful views, numerous transit stops and endless room to explore. Whether you choose to take the bus, travel by car or walk about the City, we're here to help you reach your destination. Marin County offers local, regional and paratransit public transit options through Marin Transit, Golden Gate Transit, SMART and Marin Access. Marin Transit provides local bus services throughout all of Marin and San Rafael. If the bus begins and ends in Marin County, then it's probably a local transit route. Check out their route scheduling. Marin Access provides a variety of transit services and programs for Marin’s older adults, persons with disabilities and low-income residents, including Paratransit services. To be considered eligible for Marin Access Paratransit a rider must be unable to independently board, ride, or exit an accessible Golden Gate Transit or Marin Transit fixed route bus, or similar transit vehicle because of a disability OR are unable to travel to or from a transit stop because of your disability. Golden Gate Transit operates regional bus service between San Francisco, Marin, Sonoma, and Contra Costa counties. Golden Gate Ferries provides ferry service between Larkspur, Sausalito and San Francisco. Whether you are going to work, to a baseball game or to enjoy the city-life, the ferry is a great way to travel. Sonoma-Marin Area Rail Transit By the end of 2016, commuters will have a new option when it comes to Highway 101. The SMART train will run from Santa Rosa to San Rafael at a projected 70 miles an hour in brand new, clean diesel trains; SMART will allow you to get out of your car on Highway 101 and still get where you need to go – for work or for fun. San Rafael is a great place to explore on foot or by bicycle. Numerous local trails criss cross the local Open Space Preserves, all are open to pedestrians, some to bicycles. In addition local bicycle routes (info) lead to beautiful cycling adventures throughout the City and beyond. The new Bicycle tunnel railroad bridge leads to Larkspur Landing and points south. Find Marin County parks and open space preserves where you can hike, ride, fish, kayak, walk the dog, and more. China Camp State Park surrounds a historic Chinese American shrimp-fishing village and has tons of trails for biking and hiking. Marin Open Space is a great place to explore on foot or on wheels. 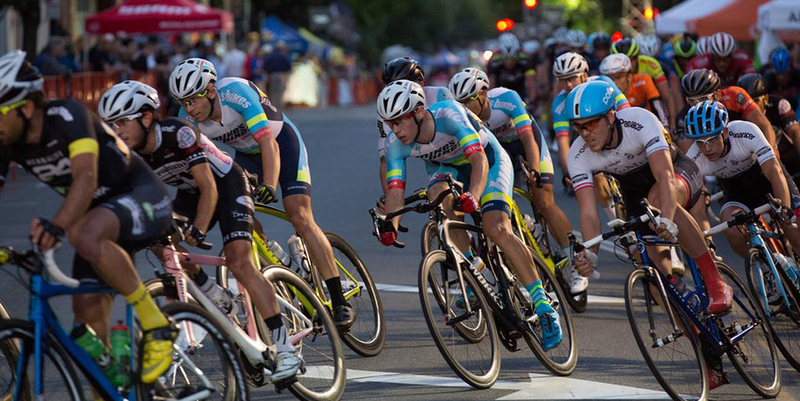 Marin County Bicycle Coalition provides the opportunity and environment to support Marin's diverse cycling community. 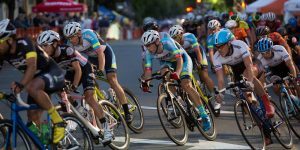 Their network of events is a central hub for cyclists of all ages and skill levels to connect, learn, ride, and have fun. Every new cyclist is a power for good. Safe Routes to Schools programs are designed to decrease traffic and pollution and increase the health of children and the community, Safe Routes to Schools promotes walking and biking to school, using education and incentives to show how much fun it can be. The program addresses parents' safety concerns by educating children and the public, partnering with traffic law enforcement, and developing plans to create safer streets. 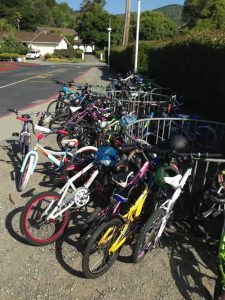 Marin County pioneered the national Safe Routes to Schools program that has spread across the U.S. Check out San Rafael School District's Safe Routes to School. Students can also take Marin Transit to school. In addition to regular local bus routes, Marin Transit provides supplemental transit services to various schools within Marin County. Traffic is part of life in Marin County if you choose to travel by car. Generally traffic is heavy going South in the morning and North in the evening but conditions change rapidly. To get the latest traffic information, check out Waze. Waze is the world's largest community-based traffic and navigation app. Join other drivers in your area who share real-time traffic and road info, saving everyone time and gas money on their daily commute. Also, check out Caltrans Live Traffic Map for up to date information on traffic conditions. Once you get here you are going to want to park, and we have plenty of information available for you to find the best parking spot for your destination. We have additional information for you if you're interested in learning more about creating an employee commute program for your business. Marin Airporter to San Francsico Airport (SFO): Busses leave from the Transportation Center every hour at 10 minutes past the hour from 4:10 a.m. until 10:10 p.m.. The trip takes a minimum of 75 minutes to SFO, but can take longer depending on traffic conditions. Marin Door to Door is the North Bay's convenient way to go to the San Francisco or Oakland airport, Amtrak Emeryville train station, or the Port of San Francisco cruise ships. Avoid the hassle of driving to the bus stop, or to your departure port—and paying parking fees. Airport Express connects the Sonoma County Airport to the Oakland Airport with pick-up and drop off's in at the San Rafael Transit Center every hour 15 minutes after the hour. The SMART train will connect Marin County to the Sonoma County Airport.